Republicans are not buying Fox News and others' hysterical propaganda. An overwhelming majority of self-identified Republicans support the way President Trump handled his press conference with Russian President Vladimir Putin earlier this week, according to an Axios poll that was released Thursday morning. Of the Republicans who voted, 79 percent said they are supportive of Trump’s handling of the conference. Conversely, only 18 percent of Republicans said they did not approve of it. 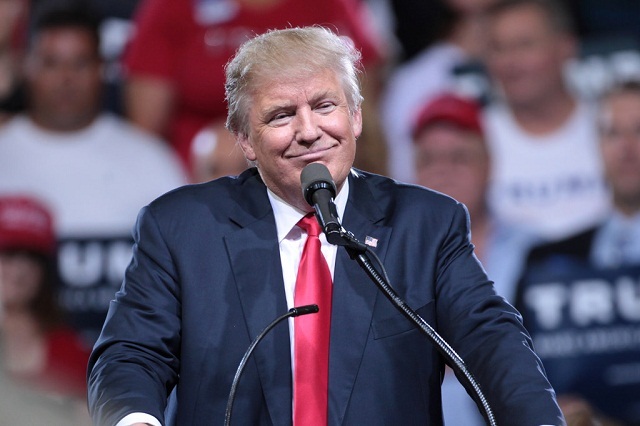 That leaves only 3 percent of Republicans undecided on the president’s performance at the conference. So much for the "consensus." People are sick of war and no one except the political class and the Twitterati actually give a damn about Russia. 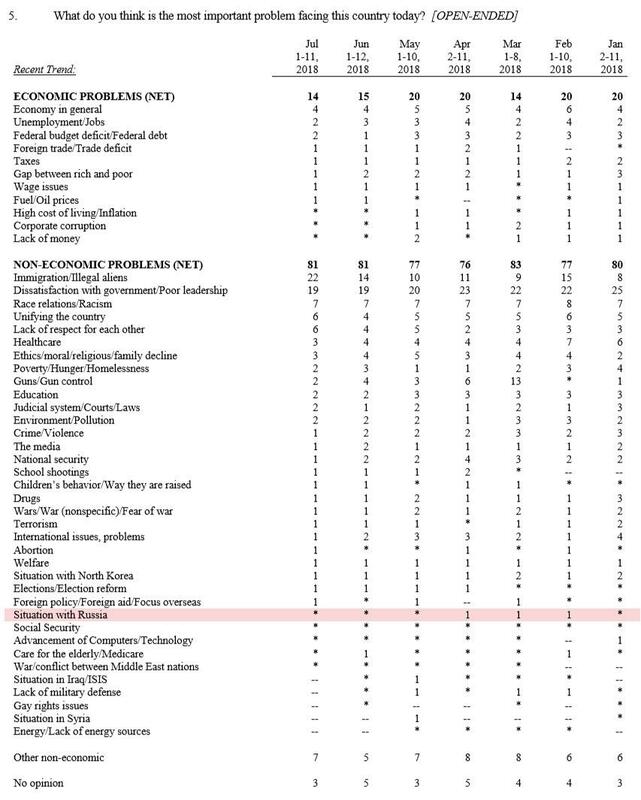 Russia barely even registered as an issue in a recent Gallup poll asking what's the most important problem facing the nation. The attacks on Russia by our media and ruling class are not driven by the American people but by shady elites no one has ever heard of like Bill Browder.